The Fayette County Junior Fair Swine Breeding Show was held Tuesday. Junior Breeding Showmanship Champion, Emily Reeves (right), with Fayette County Pork Queen Kendal May. Senior Breeding Showmanship Champion Tyler Eggleton with Fayette County Pork Queen Kendal May. Emily Reeves had the Champion York Breeding Gilt that went on to win Champion Overall Breeding Gilt. She is pictured with Fayette County Pork Queen Kendal May. Tyler Eggleton had the Champion Crossbred Breeding Gilt and drove her to Reserve Overall Breeding Gilt. 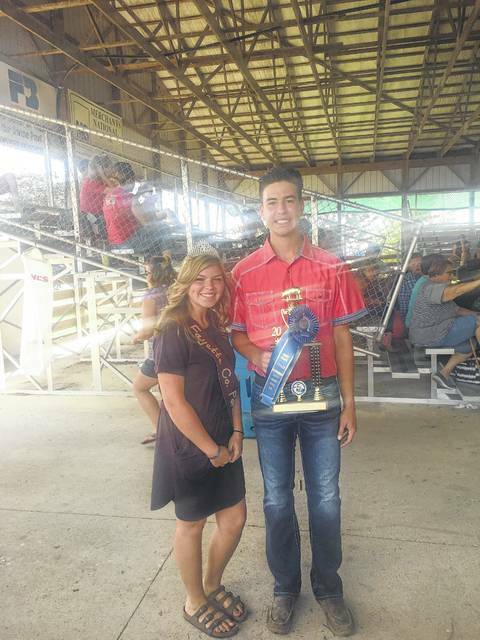 Tyler and Fayette County Pork Queen Kendal May with the reserve champion hardware. 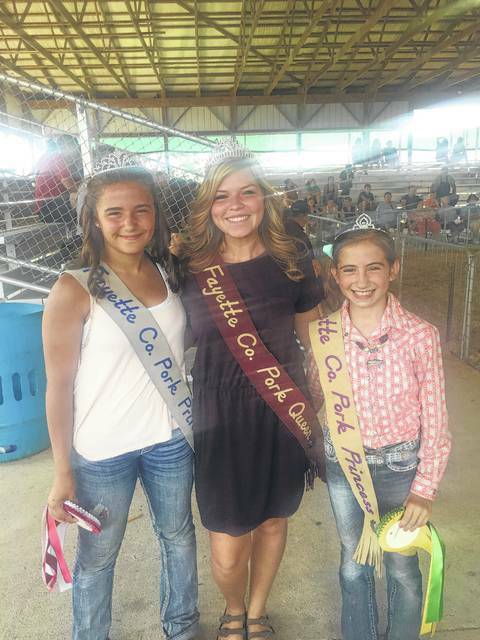 Fayette County Pork Queen Kendal May (middle) passed out the awards during the Junior Fair Swine Breeding Show Tuesday. With May passing out the awards were two princesses, Shelby Mayer and Emily Reeves. https://www.recordherald.com/wp-content/uploads/sites/27/2017/07/web1_IMG_1678.jpgThe Fayette County Junior Fair Swine Breeding Show was held Tuesday. 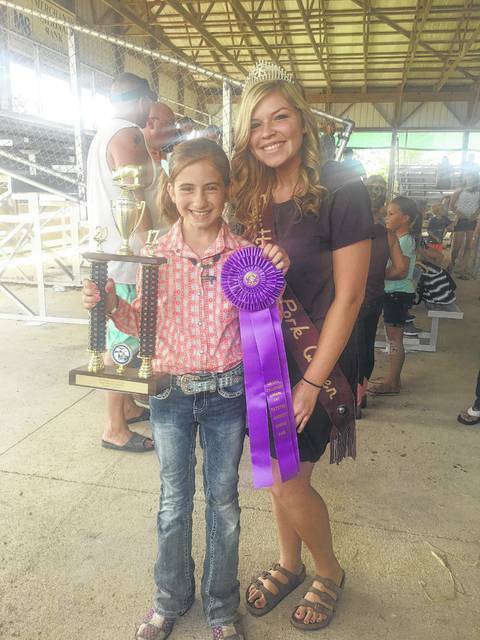 Junior Breeding Showmanship Champion, Emily Reeves (right), with Fayette County Pork Queen Kendal May. 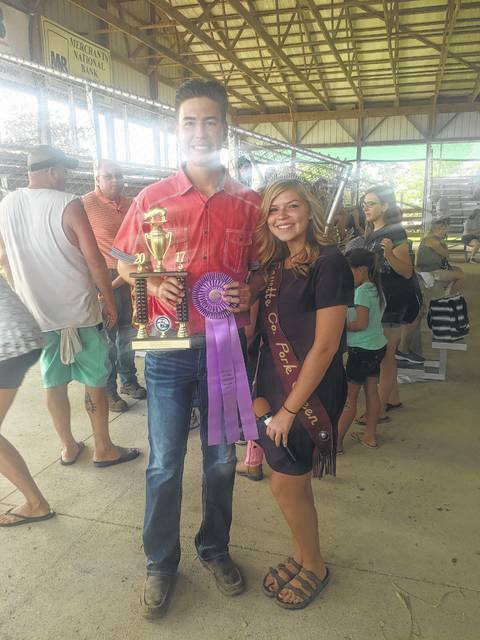 https://www.recordherald.com/wp-content/uploads/sites/27/2017/07/web1_IMG_1686.jpgSenior Breeding Showmanship Champion Tyler Eggleton with Fayette County Pork Queen Kendal May. https://www.recordherald.com/wp-content/uploads/sites/27/2017/07/web1_IMG_1689.jpgEmily Reeves had the Champion York Breeding Gilt that went on to win Champion Overall Breeding Gilt. She is pictured with Fayette County Pork Queen Kendal May. https://www.recordherald.com/wp-content/uploads/sites/27/2017/07/web1_Tyler.jpgTyler Eggleton had the Champion Crossbred Breeding Gilt and drove her to Reserve Overall Breeding Gilt. Tyler and Fayette County Pork Queen Kendal May with the reserve champion hardware. 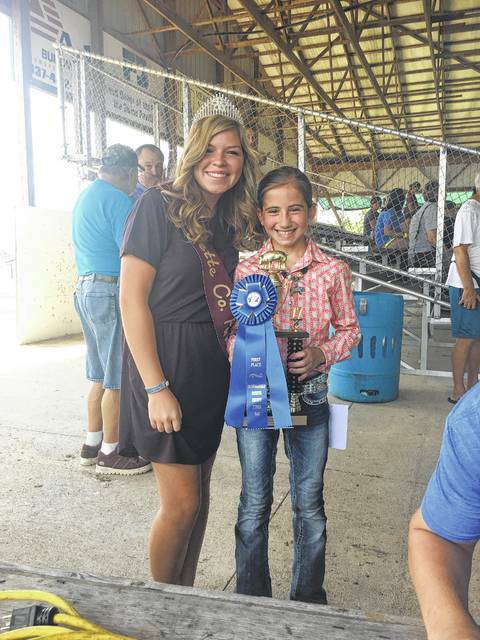 https://www.recordherald.com/wp-content/uploads/sites/27/2017/07/web1_IMG_1682.jpgFayette County Pork Queen Kendal May (middle) passed out the awards during the Junior Fair Swine Breeding Show Tuesday. With May passing out the awards were two princesses, Shelby Mayer and Emily Reeves.